This fascinating new title from Paul Hargreaves provides advice to start-ups who want to run their business ethically. We are thrilled to have been selected to manage the PR campaign for such an inspiring thinker. Paul Hargreaves is the Chief Executive of Cotswold Fayre Ltd, striving to meet the highest standards of overall social and environmental performance in the UK. 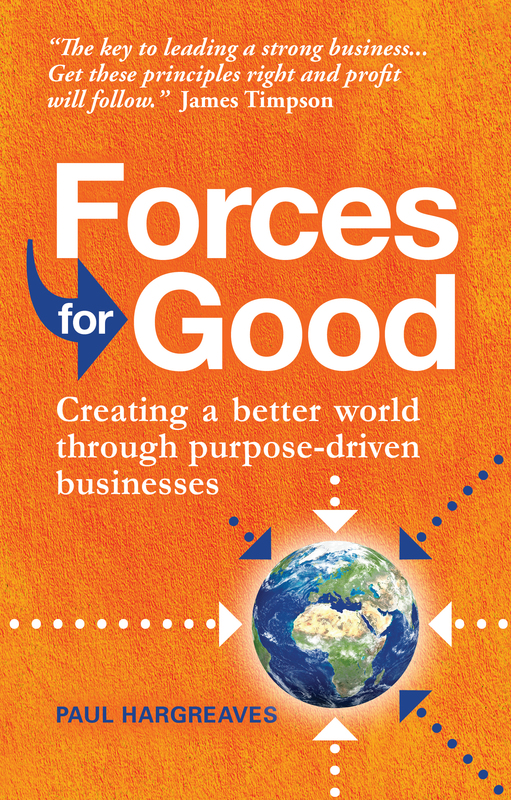 In Forces For Good, Paul candidly shares his own entrepreneurial journey of building a purpose-driven company. He reveals lessons and insights, from the realisation of how he could have more impact on the world through business than charitable work, to hiring his first five staff members, including an ex-convict, an alcoholic and an ex-drug addict, to how he managed to save the company from the brink of collapse. The book is packed with insightful real-life accounts along with practical advice for anyone wanting to create a purpose-driven business. We’re so excited to be managing the book publicity and pitching to the broadcast media, book reviewers, business press and national features writers to offer book reviews, interviews, guest articles and expert comment.